The Anniversary Wine Box is a unique wedding gift. Custom,etched,or labeled personalized wine boxes,Etching Expressions offers quality gifts that makes a lasting statement. Professional and leatheral wine boxes designed for your wine bottles. 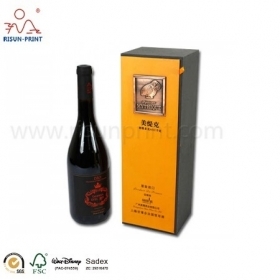 Several kinds of wine boxes can be chose, and also the material can be suggested in our factory. We have a team of designer work for your Wedding Anniversary Wine Box. 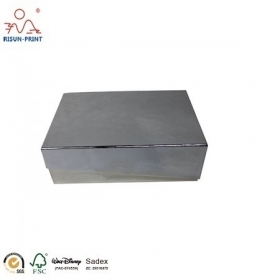 This Paper Printed Metal Fittings Custom Wine Box Wedding Gift is what our customer ordered. They chose metal logo for their wine. The logo can be shown in several ways. Box for wine packing ,without logo outside ,pearl paper and eva and MDF made . 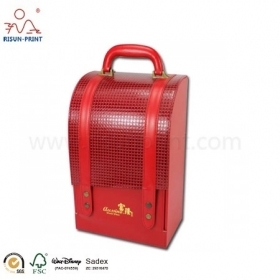 For our Red Color Unique Style Leather Appearance Wooden Wine Boxes For Sale is a box of our customer ordered. It is a unique shaped wine box. We have a team of designer work for your Wine Box. 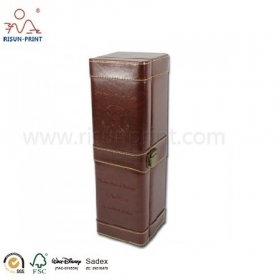 Brown Leather Metal Lock Debossing Finishing Wine Box Wedding Ceremony is made for single bottle. 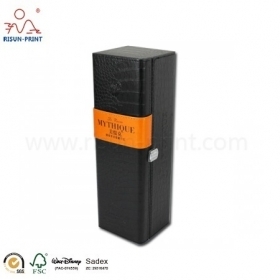 It is luxury brown color leather wine box. And chose debossing finishing for the boxes. 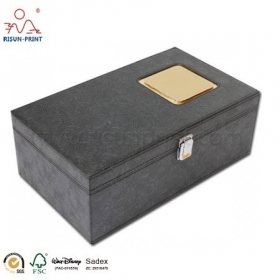 Black Color Metal Lock Single Handle Leather Gift Boxes For Wine is a box of our customer ordered in our factory. It is high standard leather wine box with inner tray. We have a team of designer work for your Wine Box. 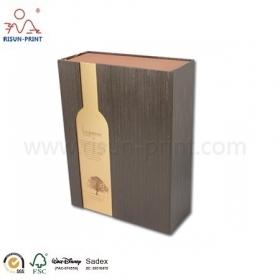 For this Fancy Paper Cardboard Boxes Paper Material Simple Color Wine Boxes For Sale, we used greyboard as the material, and fancy special paper as the outer paper, and an image of a bottle as decoration.